We like to believe that we are the ones really driving our cars. 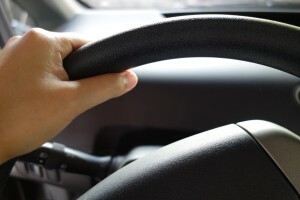 However, if you just think for another moment, you will notice bits of autonomy already in our cars today — automatic braking systems (ABS), power steering, automatic transmissions. These bits of autonomy are aimed at making us safer drivers, who experience less stress on the road. Furthermore, new in-car services that are being built into our dashboards (e.g., climate control, navigation assistance) are targeted at improving the driver user experience. By increasing the amount of automation and media in cars, we are changing the driver user experience. There are many open questions about how these bits of autonomy and new media services are affecting drivers’ feelings as well as their driving performance and safety. As such, much of my research at Stanford (in grad school) focused upon driver user interfaces of increasingly mediated systems (below). With the growing focus in the automotive industry upon developing autonomous cars, the worlds of robotics and driver user experiences are coming together in yet another form of human-robot interaction. In this case, people are not just interacting with robots, but people are sitting inside of them. For current research in this space, check out my PhD advisor Cliff Nass‘ Stanford Center for Automotive Research (CAR) lab, which he co-founded with Sebastian Thrun and Chris Gerdes. Jabon, M.E., Bailenson, J.N., Pontikakis, E., Takayama, L., & Nass, C. (2011). Facial expression analysis for predicting unsafe driving behavior. IEEE Pervasive Computing 10(4), 84-95. Takayama, L., & Nass, C. (2008). 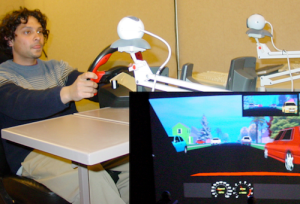 Assessing the effectiveness of interactive media in improving drowsy driver safety. Human Factors, 50(5), 772-781. Takayama, L., & Nass, C. (2008). Driver safety and information from afar: An experimental driver simulator study of wireless vs. in-car information services. International Journal of Human-Computer Studies, 66(3), 173-184. Jonsson, I., Nass, C., Harris, H., & Takayama, L. (2005). Matching in-car voice with driver state: Impact on attitude and driving performance. Proceedings of the International Driving Symposium on Human Factors in Driver Assessment, Training and Vehicle Design, USA, 173-180.